The museums-online.ch research community portal provides access to the largest virtual collection in Switzerland. 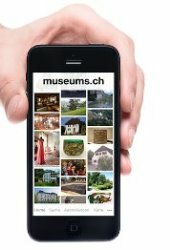 Discover the Swiss museums with the new app museums.ch. The mobile app of the Swiss Museums Association invites art lovers, families and interested visitors to sightseeing the Swiss museums. It opens the access to all the museums, art collections and exhibition places in Switzerland and the Principality of Liechtenstein. The geolocalization points out the current exhibitions in the own environment. News, tips, stories and behind-the-scenes for museum professionals. Follow us! 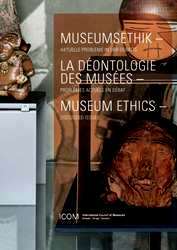 Ethical problems of particular significance for museums: Duty of care when purchasing collection items; Sensitive collection and exhibition objects; Discarding collection items. The Night of Museums takes place each year in many Swiss cities. Every urban Night of Museums has its own date and program. With more than 750 institutional members, the Swiss Museums Association represents the interests of all museums in Switzerland and Liechtenstein in encounters with authorities and the public. It promotes contact between museums, sets standards and serves as a forum for ideas and exchanges of experience. ICOM Switzerland is the Swiss Association of Museums Professionals. Founded in 1953, ICOM Switzerland is one of the largest national committees of the International Council of Museums ICOM. ICOM Switzerland implements ICOM goals nationally and works closely together with the Swiss Museums Association.